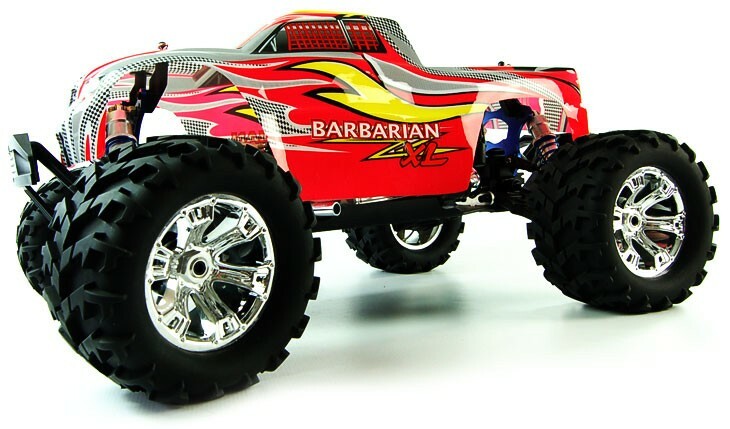 RC cars or "radio-controlled" cars are self-powered cars or trucks that can be directed from a distance because of a special transmitting unit. 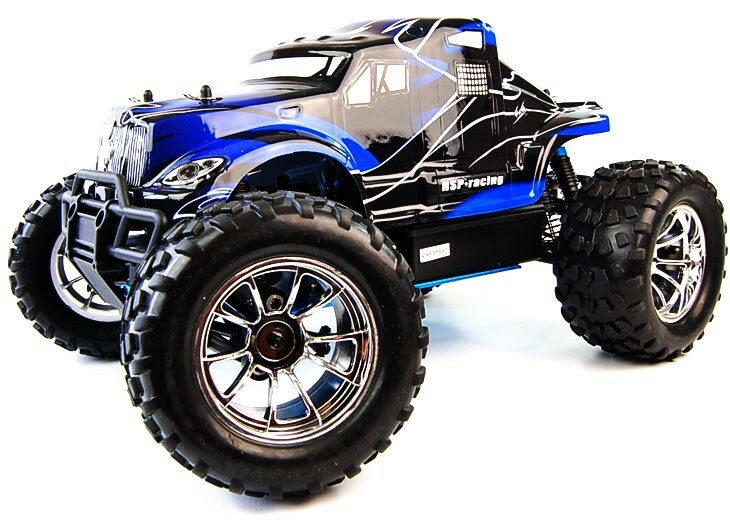 Using a radio frequency the vehicles can be controlled from a distance. 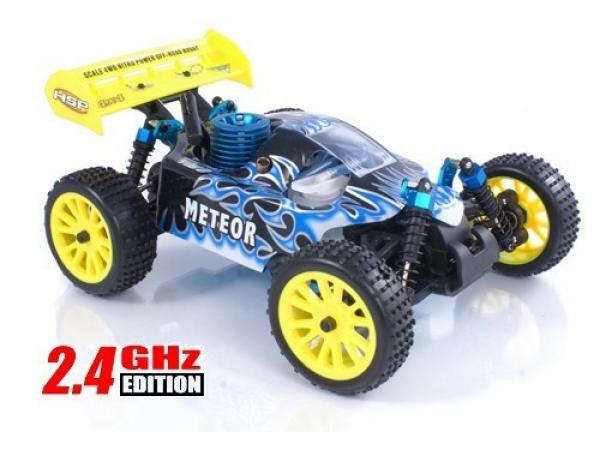 These cars can be powered by different sources: electricity, via a small electric motor and rechargeable cells, brushed or brushless electric motor, or fuel, sometimes gasoline and oil or sometimes a mixture of nitromethane, methanol and oil. 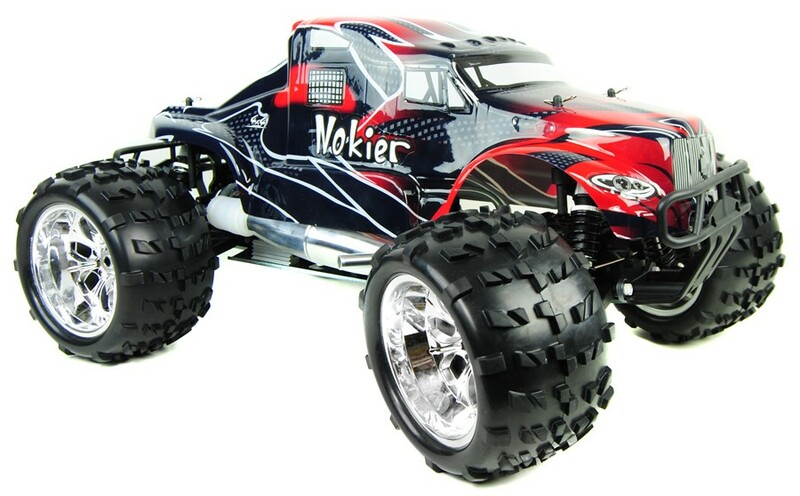 By far the most popular for the serious enthusiast is the latter option: the nitro RC car. 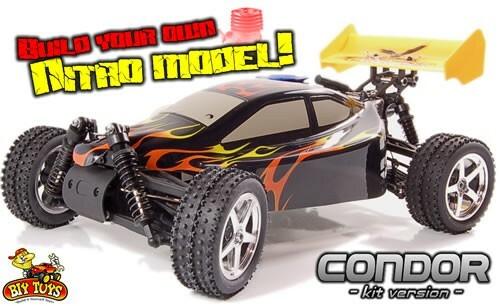 Nitro-powered models are traditionally louder and faster than their electric counterparts. They provide a more realistic driving experience. 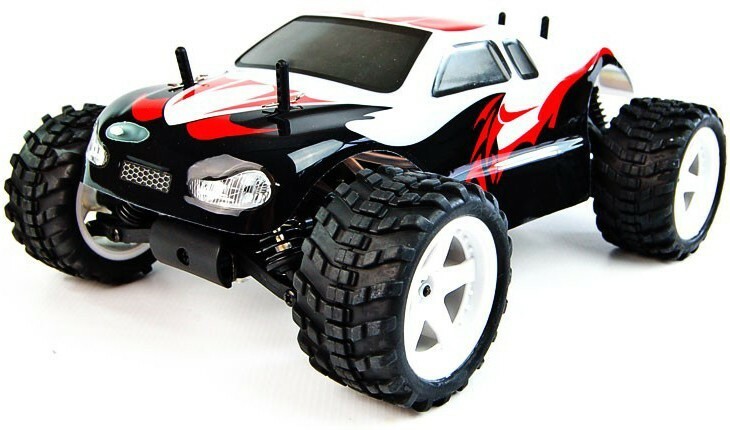 Nitro R/C cars operate like full-sized fuel vehicles because they contain an internal combustion engine. However, they take more time to maintain and keep clean. But this upkeep is all part and parcel of the hobby. 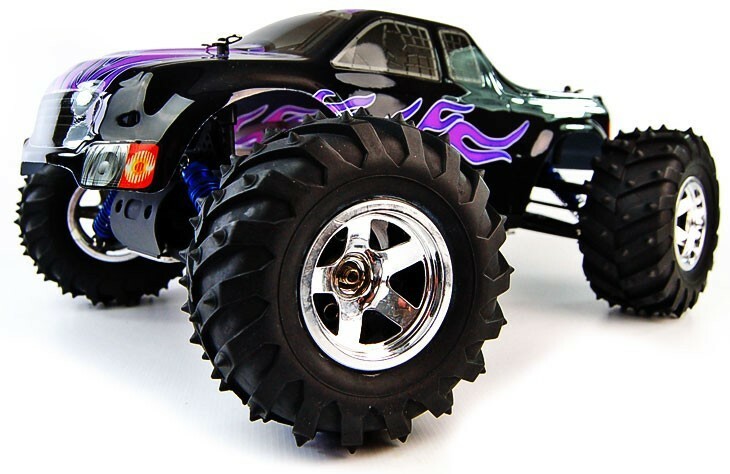 Engine sizes of nitro RC models usually range between .12 and .35 cubic inches, but model monster trucks could run .80 cubic inch engines. They run on a two-stroke engine. A nitro engine can run in excess of 50000 RPM, with somewhere between 25,000 and 37,000 RPM being the most common. 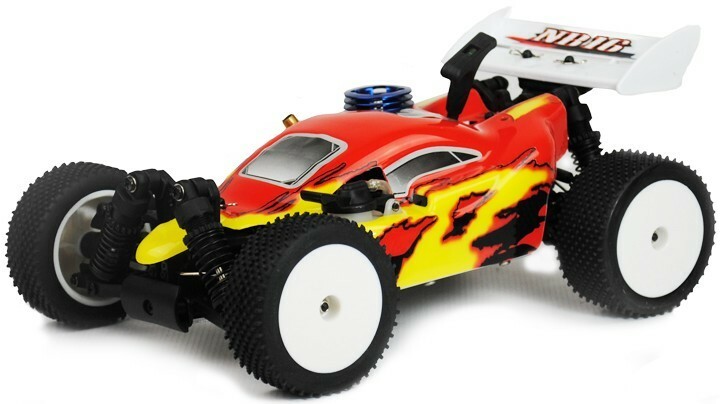 Just like full-sized engines, a nitro run RC car uses a carburetor to mix the air and fuel together and may take a little time to warm up and for the clutch to engage. You will need to keep a stock of nitromethane mix in order to refuel when necessary, but on the plus point, this takes seconds, in comparison to the recharge time of an electric car. 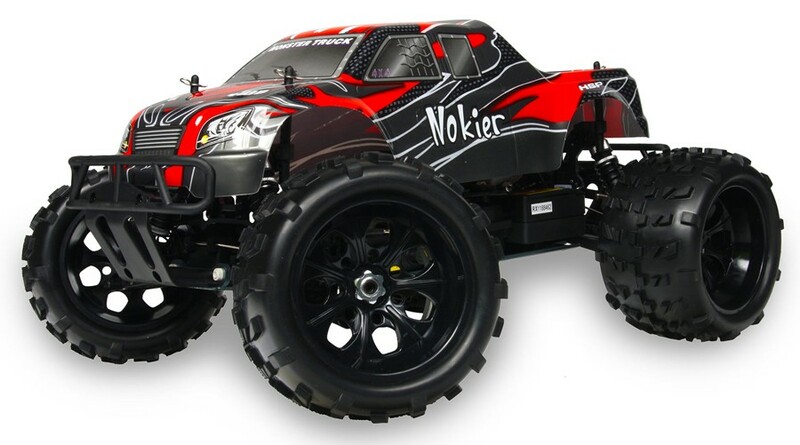 Nitro RC cars can be run almost continuously without the need for cooling the engine down. However, nitromethane is highly combustible so great care needs to be taken. 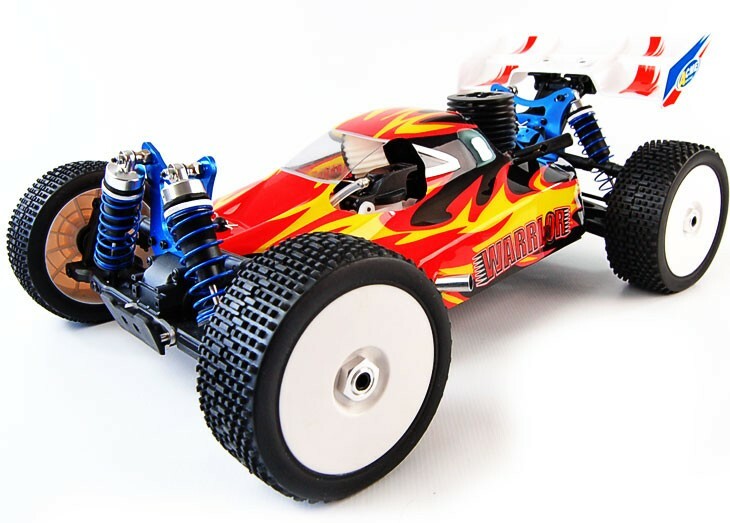 Most serious hobbyists would want to build their own nitro RC car from specially chosen components. 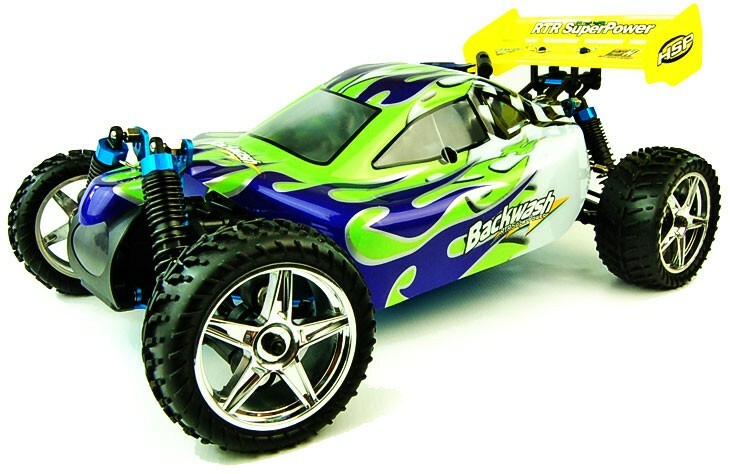 However, they can be bought “ready to run” (RTR) if so desired. 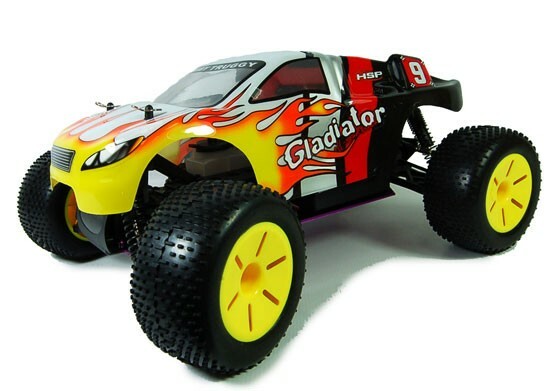 These RTR cars need little or no preparation to get them race-ready. 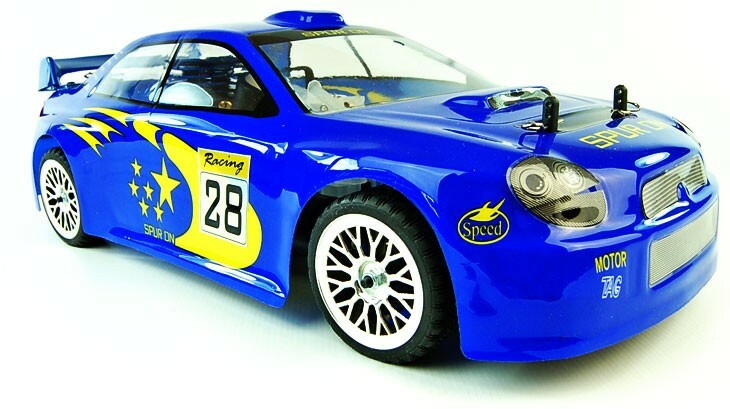 Many aficionados would consider the assembly of their car to be a part of the hobby. 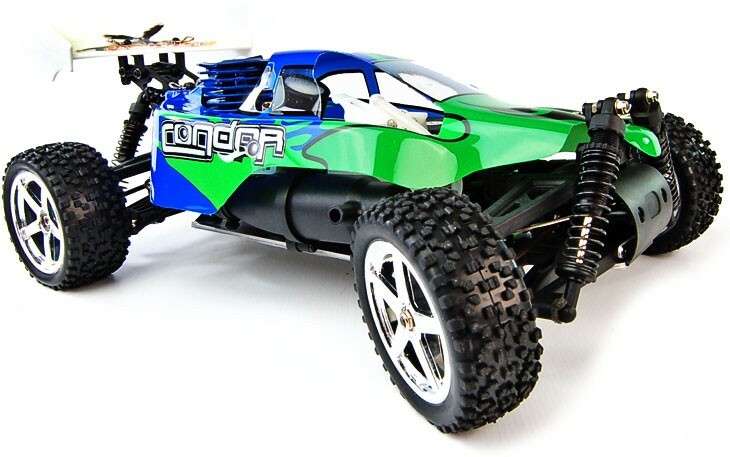 It is possible to meet a happy medium, by buying a model from a quality manufacturer such as Thunder Tiger or Schumacher, and then upgrade it by changing the servo or failsafe unit or by buying different chassis sets. 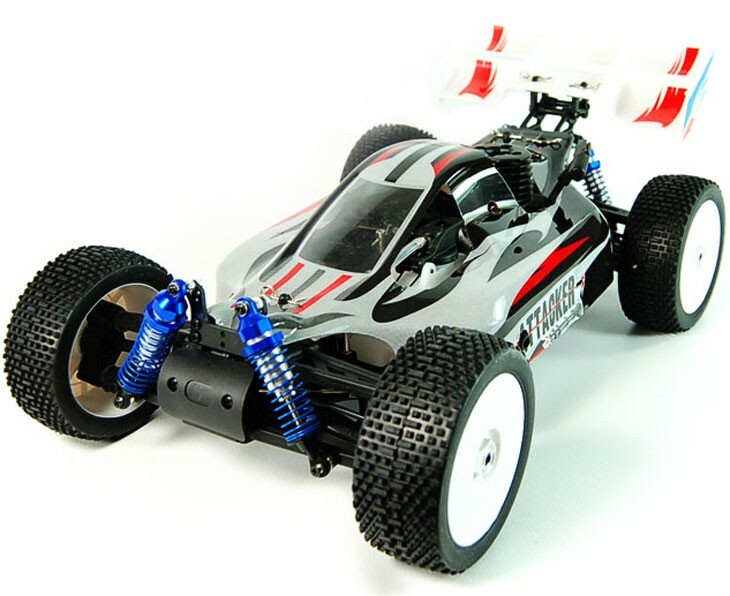 Nitro RC cars can be expensive and time-consuming to maintain. The bodywork will need cleaning more often because of the unburned oil particles from the exhaust. 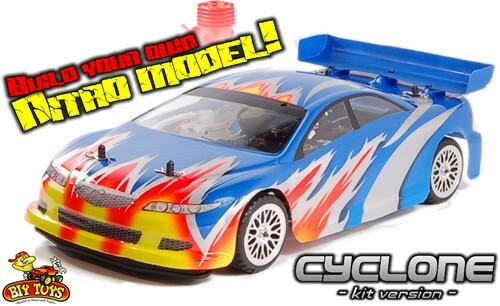 The engine will need regular tuning and you will need to watch the clutch for excessive wear. The speed and performance of a nitro-fueled car can lead to harder collisions, so this needs to be taken into account with regards to safety and maintenance.